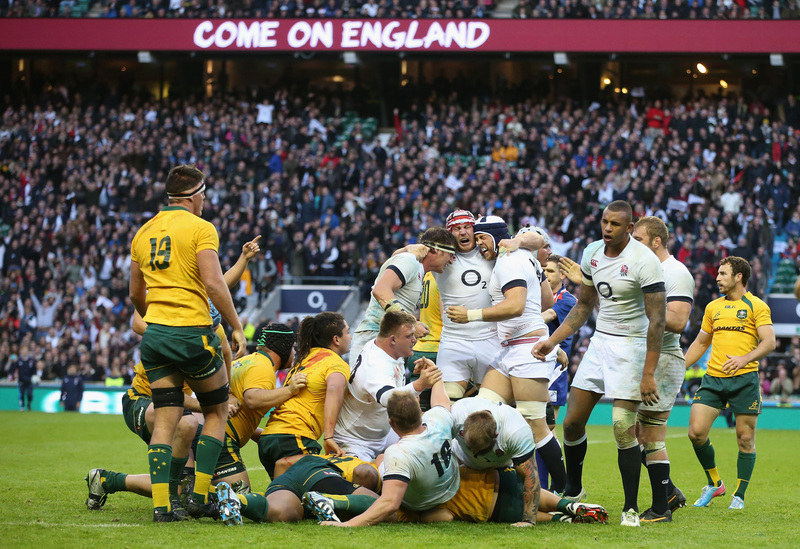 during the QBE International match between England and Australia at Twickenham Stadium on November 2, 2013 in London, England. ON THE eve of a big international it is easy to fall headlong into the habit of throwing around big, sentimental statements. That is, of course, unless you are no-nonsense second-row Geoff Parling. Talking before England’s decisive November Test against the All Blacks – a fixture England triumphed 38-21 in when it was played out a year ago – the Leicester Tiger cuts through the bluster, dismissing myths as he previewed the game. He also makes it patently clear that England have not played superbly yet. The lineout specialist has extolled the strength of this England squad for pulling through two games against opposition ranked in the IRB’s top 10. He says that since beating New Zealand last year the team has not stagnated, but learned from their exploits. As an example of progress he cites England’s loss to Australia last year when a half-time lead of 14-11 was thrown away at Twickenham, as they lost 20-14. He then fast-forwards a year to when England turned around a 13-6 deficit at half-time against the Wallabies to win this November. He does concede that there shouldn’t be massive expectation as England face the Kiwis again, but he also shoots down any question of fearing the All Blacks. “I don’t think there ever has been a ‘mystique’ about the All Blacks,” he insists. “They just consistently do well and you have to respect them. They are nothing other than a very, very good team of rugby players. And last autumn the reaction to the result only came about because of the strength of New Zealand. I always get frustrated with the fuss and highlight footage after a result like that – you should play games like that, get results and move on to the next game, I always think. 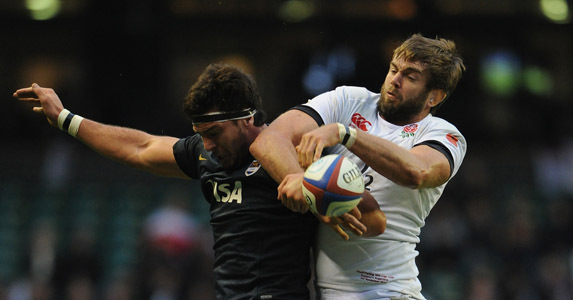 What Parling does say is that New Zealand do have habits; habits that England can target. When they get chances they are deadly. They are able to counter more efficiently than almost anyone in the world, but Parling points out that they kicked more than anyone else in the Rugby Championship and any notion of the All Blacks running the ball from anywhere is just another myth to be busted. England can plan for this. The second-row also scoffs at the suggestion he should be happy for competition from other second-rows, dismissing such talk as nonsense because “every player wants to play 80 minutes of every game” and he will not be caught trotting out the usual answer to such question. What he also has no time for, he says, is looking beyond this game against New Zealand. He tells it how he sees it and he always brings intensity to everything he does. Which is a good mentality for any Englishman to have on a weekend when myth and mystique means nothing and actions and intensity mean absolutely everything.